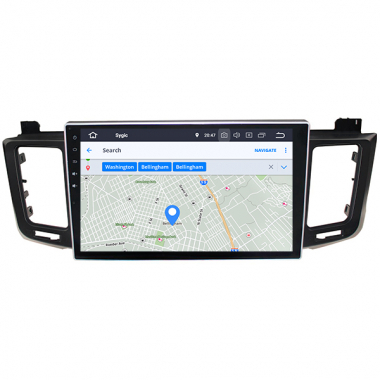 This Android head unit is special for 2013, 2014, 2015, 2016, 2017 year Toyota RAV4, it's a great Toyota RAV4 radio replacement which brings you awesome features like GPS navigation system, Android apps, Bluetooth phone, Bluetooth music, WiFi connection, rear view camera video input, steering wheel control and so on. If your Toyota RAV4 only has the factory radio but don't have any backup camera, you can install aftermarket camera with it. Your steering wheel controls can still work after installation of this radio replacement. Installation of this Toyota RAV4 Android head unit is easy, just plug and play. The new plug matches factory wiring harness, you don't need to modify wires, just a simple upgrade, if you are able to remove factory Toyota RAV4 radio, you should also be able to install it without a problem. Besides, if you have a question while installing, you can also contact us, we will do the best to asssit you.